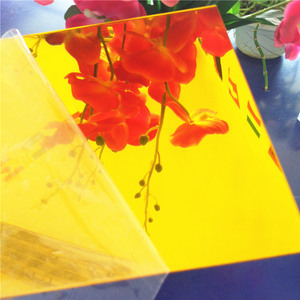 Acrylic mirror surface is clear and bright, giving distinct and lifelike image. 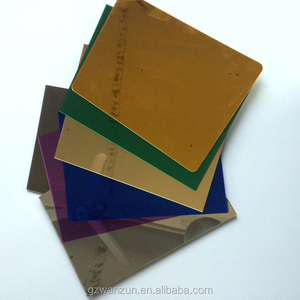 Acrylic mirror sheet is weather resistance, non-toxic and chemical resistance. We will offer you according to your sepcific dimension, color, thickness and quantity! 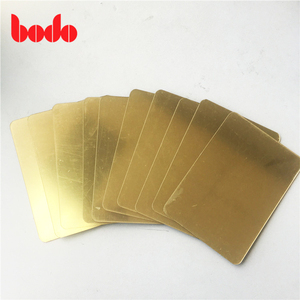 2018 Main core competitive products Self Adhesive Non Glass Mirror Tiles salon wall acrylic mirror sheet india specification Description mirror sheet PMMA,PS,PC,PETG. 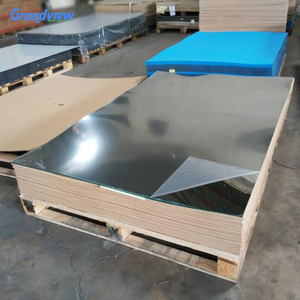 Size Length According to the customers' request Max width 1.4 m Thickness 0.7 to 22 mm 1000*2000mm 915*1830mm 1220*2440mm We can produce other special sizes according to the customers' request. 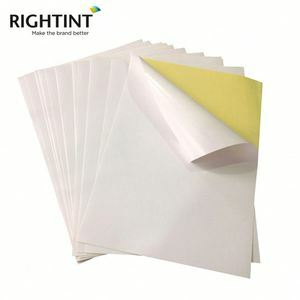 Features * Half the weight of glass * Shatter resistant * Extensive design * Flexible * Intricate shapes Safer than glass * Break resistance * Highly reflective material * Vacuum metalized in a vacuum chamber * Protected on the back by a durable scratch resistant coating * Front surface is protected with either a clear polyethylene film or a paper masking * Pressure sensitive backing * Protected with a release liner * Abrasion resistant front surface for that extra durable requirement HOW to Contact US 9 Pls scan the following WeChat code Tel : 020 - 80542701 My whatsApp : 008618126796717 Skype : wzplastic ( name is Rambo Tu ) Send you inquiry Details in the below for free sample , click ''send '' NOW ! 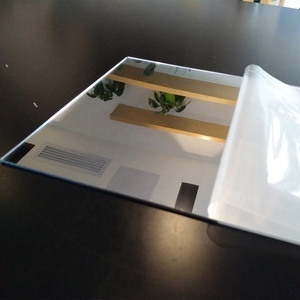 Dongguan Tianpeng Plastic Mirror Co., Ltd.
For some custom items, we may charge some sample costs, and all the sample costs can be refunded back when you place the order in the future. Welcome to reconfirm the date before you place the order with us for some special case. 3. We have reliable freight forwarder to handle our goods shipment based on the competitive cost. 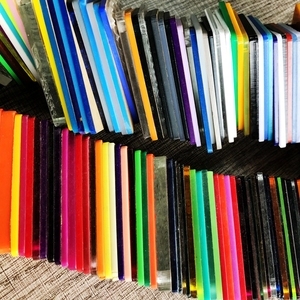 Acrylic has excellent optical properties and is more resistant to impact than glass. 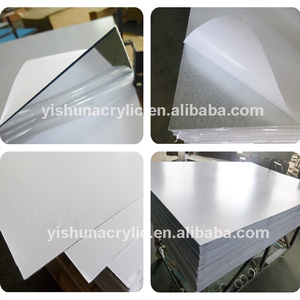 10.Good hard coating and scratch resistance . 11.Good chemical resistance, superior to most other plastic materials. 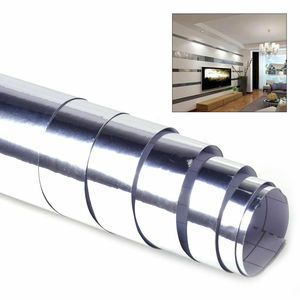 Alibaba.com offers 2,401 adhesive mirror sheets products. About 31% of these are plastic sheets, 10% are stickers, and 6% are mirrors. 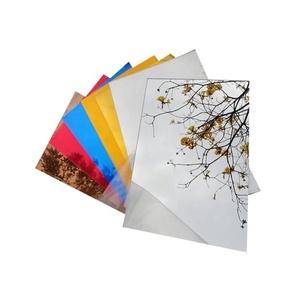 A wide variety of adhesive mirror sheets options are available to you, such as acrylic, pvc, and pc. You can also choose from free samples, paid samples. 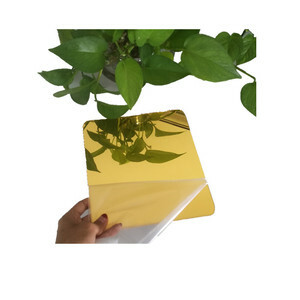 There are 2,328 adhesive mirror sheets suppliers, mainly located in Asia. 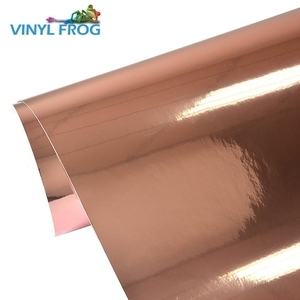 The top supplying countries are China (Mainland), Taiwan, and India, which supply 99%, 1%, and 1% of adhesive mirror sheets respectively. 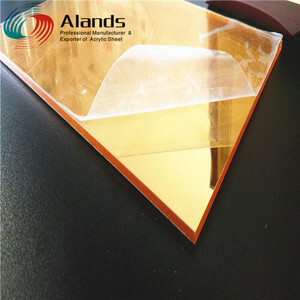 Adhesive mirror sheets products are most popular in North America, Domestic Market, and Southeast Asia. You can ensure product safety by selecting from certified suppliers, including 540 with ISO9001, 195 with Other, and 134 with ISO14001 certification.